Join us at our Hand Tool Event® in Norwalk, CA! Paid parking is available on site, in Lot 10, for $2.00 a day. Click HERE for a printable campus map. We will reimburse the parking expense with the purchase of any Lie-Nielsen Tool. Please provide proof of parking at the time you place your order. 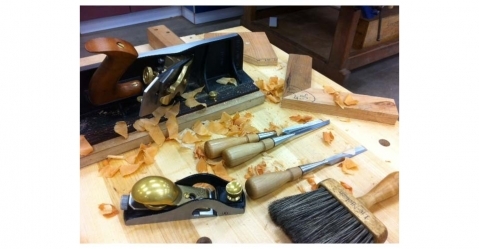 Cerritos College has one of the finer woodworking programs of Southern California. The school emphasizes a hands-on approach in project-oriented classroom settings. The instructors cater to all levels of knowledge and skill, making a comfortable environment for hobbyists and professionals alike. We offer free shipping on orders placed at the Event (excludes Workbenches, Vise Hardware, and Dovetail Chain Drive Vises). 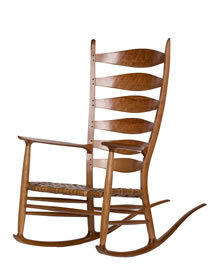 Russ Filbeck is a master chairmaker located in San Diego, CA. He makes his own spoke shaves and shaving horse to shave chair parts, and enjoys talking with other craftsmen about his process for building Windsor and Ladder Back chairs. During events, Russ will demonstrate steam bending Shaker boxes, chair legs and slats. Come sit in his chairs and watch him work.